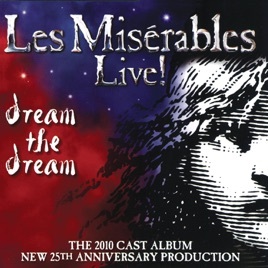 This is my favorite recording of Les Mis at the moment. It's not *technically* the best one out there-- I think that objectively, the 10th anniversary cast is stronger. BUT the energy of this cast is refreshing. I love Colm Wilkinson as much as the next Les Mis fan, but I've gotten a little weary of his portrayal over the years, and this album is my reprieve. If you're looking for a Les Mis that's a little different from the OBC and OLC recordings, but stronger than the movie vocally, this is your best bet! The barricade boys are young enough that they sound like actual students, the orchestration is exquisite, and Eponine is very easy to listen to. Very strong overall. A breath of fresh air. If you like awesome instrumental playing, get this. Whoever the bass trombone is....bravo! The signing is good too.